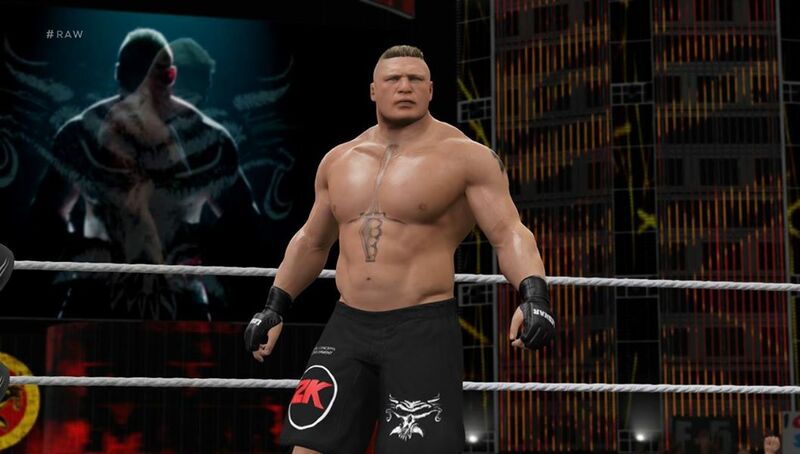 Wrestling video games, particularly those based on the WWE, are commonplace. These days, a new WWE game gets popped out annually, with the most recent release being WWE 2K17, which aims to smoothen out the wrestling game experience, and bring it ever so slightly closer to replicating the in-ring action found in WWE’s programs. Truth be told, wrestling and video games were made for each other. The outlandish characters and their gimmicks, ridiculous storylines, and over-the-top action of the professional wrestling world were always begging to be transitioned to the video game medium, so it’s no wonder why wrestling games have continued so persistently through the years. With that said, the wrestlers of the WWE are real people, and thus, have their limitations. So perhaps trying to replicate the in-ring action we see on TV too thoroughly can be a weakness. At least, that’s the case in regards to WWE 2K17 which, though a solid effort in many ways, suffers from some glaring limitations and gameplay inconsistencies. On the bright side, the core gameplay still provides some decent fun, with players able to pick from a massive selection of WWE’s wrestlers – from main eventers like Kevin Owens and Chris Jericho to jobbers like Zack Ryder and everyone in between – and can take part in a variety of matches, with each wrestler’s movesets and the gimmicks of the matches all in place. On the downside of things, many features of the game that should be pretty simple have become needlessly convoluted. The mini-games for breaking out of pins and submissions are vaguely explained and far too precise (you may find yourself losing a match via pinfall early on, simply because the mechanics don’t work as well as they should), and trying to get the belt suspended above the ring during a ladder match is downright confusing. Perhaps worse still is the ridiculous amount of time you’ll spend knocked on the ground. Countering attacks requires split-second button presses, and if you fail to counter even just a few moves, you’ll be knocked to the ground and frantically pressing buttons as your wrestler takes ages to get back on his or her feet. In the actual WWE, there are often slower moments in matches to give the wrestlers some breathing time in between the faster-paced action. That’s more than understandable, but it’s not something that really needed to be translated into a video game. If the slow recuperation only happened after your wrestler was severely weakened, it might make sense. But the fact that even just a few moves makes your wrestler crumble for so long is just aggravating. WWE 2K17 features a plethora of modes, though most of them are reworked (or even dumbed down) modes found in previous WWE games. MyCareer mode sees your created superstars go through a storyline of their own, WWE Universe mode puts players in Vince McMahon’s seat, as they become in charge of WWE programming. And of course, there are still exhibition matches if the player just wants to experience the game’s basics, or play with friends via local multiplayer, as well as online modes. The sad thing is, the exhibition matches are probably the most fun, especially if you’re playing with friends, particularly friends who are wrestling fans. The online modes are riddled with ludicrously long load times, and have considerable trouble trying to find other players. 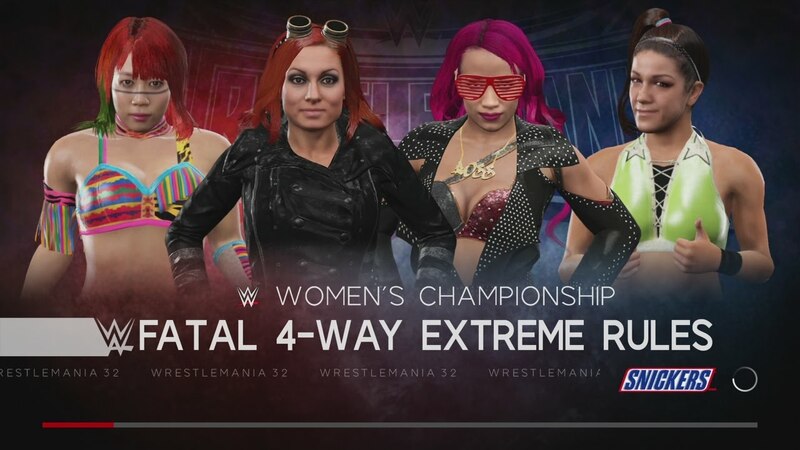 WWE Universe Mode feels like it regressed to the General Manager mode found in WWE games from years ago, as the computer’s suggested rivalries, matches and injuries seem to dictate the player’s choices as much as the player’s choices dictate them. And while MyCareer mode serves as a fitting story mode, it has some severe limitations (you can only use male created wrestlers, for starters). Speaking of limitations with character creation, it’s odd to think that WWE games in recent years have held back many of the customizable features from WWE games of the past. Perhaps in another attempt to make the games “more like the real thing,” you are now restricted to relatively realistic character customizing options (though Goku hair still exists). No more blue people, no more anime-proportioned women, no more giant clowns with tiny stick arms. I understand that many (including myself) like to make characters that better mesh with the game’s world – even if that world is the often-outlandish one of the WWE – but players still had the ability to make more “realistic” wrestlers even when they had the options for more caricatured machinations. So really all they’ve done is removed elements. Another baffling omission is why the more recent WWE games is the absence of create-a-story mode, which allowed for some robust character-created elements with often hilarious results. Hopefully, this feature can be brought back in future installments and fleshed-out all the more. Despite all these complaints, WWE 2K17 is still a fun game in its own right. But its a tad ironic that, despite all the bells and whistles, it’s the straight-up in-ring action that’s the best part of the package (and even that has some mechanical hiccups). And if you have some friends who are fans of WWE’s brand of “sports entertainment,” then you may even have a blast seeing whose created wrestler is the better grappler. Perhaps its just time that these WWE games take a year off, and instead of releasing an obligatory annual title, focused on fine-tuning the gameplay and adding in some more meaningful elements. Real WWE athletes have to stop and take a breather at times. But if us gamers want to have a six-man Hell in a Cell with flaming tables and not a second of pause in between all the non-stop action, then damn it we should be allowed that. The issue I’ve had with the WWE games for some time is that the engine just feels old. The controls feel clunky and there are still the same clipping issues and animation oddities that were presents years ago. A new engine would go some way to getting me interested in the franchise once again, along with your suggestions of allowing the player to just cut loose and get silly with the product!